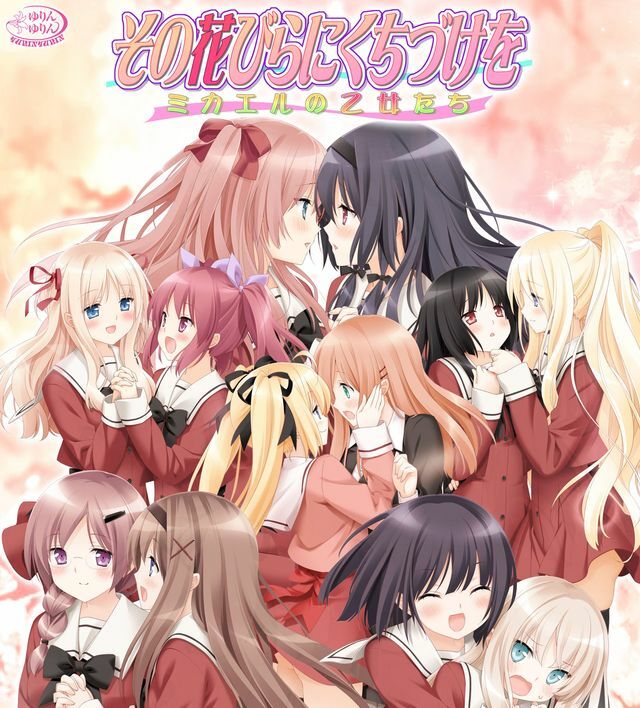 On 25 January 2013, Yurin Yurin announced their second visual novel, A Kiss For The Petals – Lovers of the Atelier (その花びらにくちづけを　アトリエの恋人たち Sono Hanabira ni Kuchizuke wo – Atelier no Koibito-tachi), by opening a teaser site. On 6 February, the website opened with a tentative information page listing a release date of 29 March 2013, a story description, three sample images, and a price of 2,625 yen. Risa and Miya are once again the primary couple and appear to be the sole focus of this installment; no other characters are seen in the currently available preview materials. 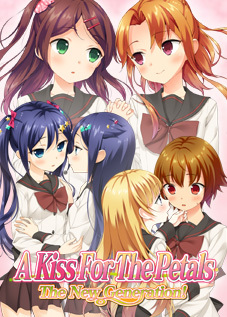 The cover is reminiscent of the fourth through tenth Fuguriya visual novels, in which a couple embraces before an abstract backdrop. Update 8 March 2013: Pre-order incentives include a size B6 pencil board and exclusive bonus prints from Sofmap, Medio, AMPnet, Stellaworth, and Toranoana. The prints from Sofmap, AMPnet, and Toranoana are based on scenes not included in the currently available sample images. 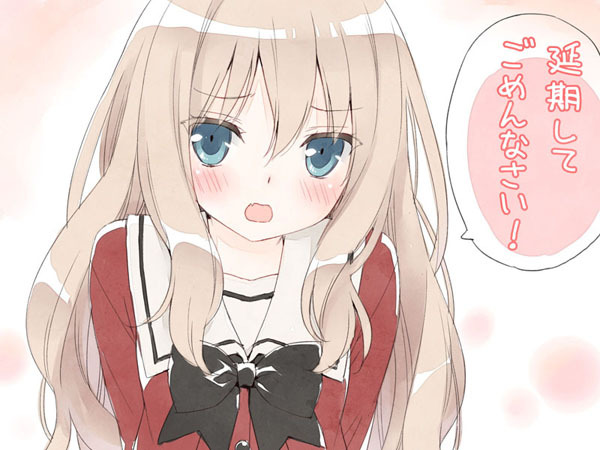 Update 3 April 2013: You can order this visual novel from Mangaoh Club, which ships internationally via EMS. The price, including tax, is 2,363 yen. See this guide for instructions for ordering from Mangaoh Club if the Google translation is insufficient and note that you must specify that you are over 18 years of age in your account information before you are allowed to add adult items to your cart. Update 8 May 2013: A Kiss For The Petals – Lovers of the Atelier is available internationally at J-List. The price is $48.00, not including shipping. 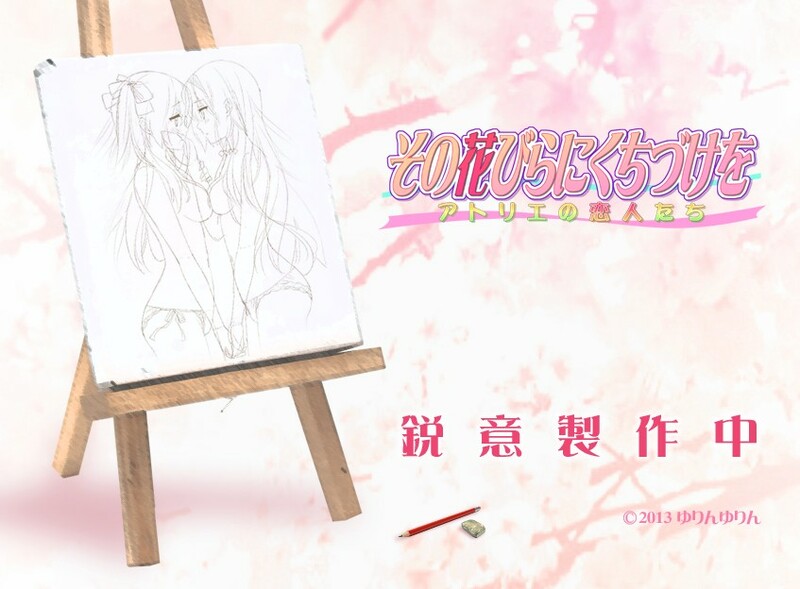 On 10 September 2012, 7:20 A.M. EDT, Yurin Yurin made significant changes to the Sono Hanabira ni Kuchizuke wo – Michael no Otome-tachi (その花びらにくちづけを　ミカエルの乙女たち A Kiss For The Petals – Maidens of Michael)* website, adding the following information for the new commercial product. Clear your cache to see the new layout. The release date has been delayed to 30 November 2012. New character information has been added. Risa and Miya’s voice actresses are to be determined. Nanami, Sara, and Risa are grouped together as friends. This implies that Nanami and Sara are in the same class, which is not explicitly stated in any of Fuguriya’s works. Rena is a homeroom teacher for the first-year class, presumably Nanami, Sara, and Risa’s class, which would give Takako and Runa a tenuous connection with the rest of the campus. Mai is grouped with Yuuna and Kaede as class representatives. In Joined In Love With You, Mai states that she is treated like a representative by her classmates, but she never actually was one. All characters have been redrawn from head to toe. Rena now has a visual. Her voice actress is to be determined. Haruna Yumi (春奈有美) returns as Nanami’s voice actress after a hiatus of three years. Promotional banners in various sizes have been added. Hotlink HTML code is provided to advertise the new release. Six new preview images have been added, none of which are safe for work. All characters are with their respective partners. The download section has been opened with 13 Twitter icons, one for each character, and 16 new wallpapers, three for each extant couple and one for Rena. See this post for more information on Maidens of Michael. * This is a preliminary translated title and is not to be taken officially. Update: This title has been licensed by MangaGamer. Please see the announcement post for further updates. Yurin Yurin opened its website at midnight Japan time on 21 July 2012. 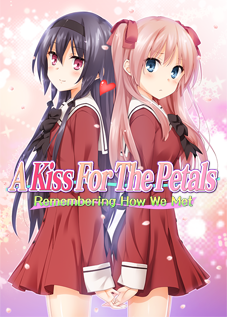 The site is twofold: one for Yurin Yurin itself, and another for their first product: A Kiss For The Petals – Maidens of Michael (その花びらにくちづけを　ミカエルの乙女たち Sono Hanabira ni Kuchizuke wo – Michael no Otome-tachi), which was released on 30 November 2012. (This is a tentatively translated title.) Proxy pass-through is not required for either of these pages for images to load, as is the case with Fuguriya’s website. The site for the new release is not a single page, as with Fuguriya’s works; this new visual novel is much larger than anything Fuguriya has produced. In anticipation of this release, Yurin Yurin is currently uploading a YouTube mini-drama series entitled Risa-Miya Theater, after the visual novel’s main characters. See my first post for it for more information. Yurin Yurin also posted “countdown voices” featuring very brief voice dramas between each couple for the last 12 days leading to the release. These are no longer available, so I am archiving them at this post along with English translations. As a reminder, the possibility of an English license for this franchise depends entirely on the success of this first release. If at all possible, please support the developer. Your direct support is now more critical than ever. Update 18 April 2013: Please see State of Localization for Yurin Yurin Products for updates on this topic. 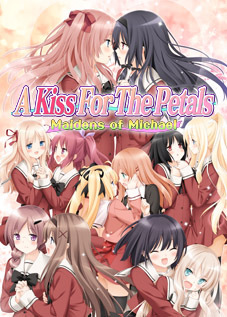 Update 30 November 2012: A Kiss For The Petals – Maidens of Michael is available internationally at J-List. The price is currently $130.00, not including shipping. Update 4 April 2013: Yurin Yurin has released this visual novel on Gyutto.com at a price of 6,800 yen ($70.60 USD, €54.61 EUR, £46.36 GBP). See this post for buying instructions, which have been verified to work with U.S. credit cards. Update 29 August 2014: Maidens of Michael is no longer available at J-List. See the Buying Guide for information on alternative places to purchase. In the event that JAST USA obtains an English license for this release, those who purchase the visual novel from J-List will receive a free download code for the English version, as was the case with My Girlfriend is the President. However, this is entirely dependent on Yurin Yurin’s decision to follow through as there is no guarantee that JAST USA, or anyone else, will be granted a license, regardless of sales. If you have played this visual novel, feel free to post your opinion of it in the comments, as well as link to reviews on visual novel website, be they positive or negative, but please do not submit spoilers. I will collect them in a future post.